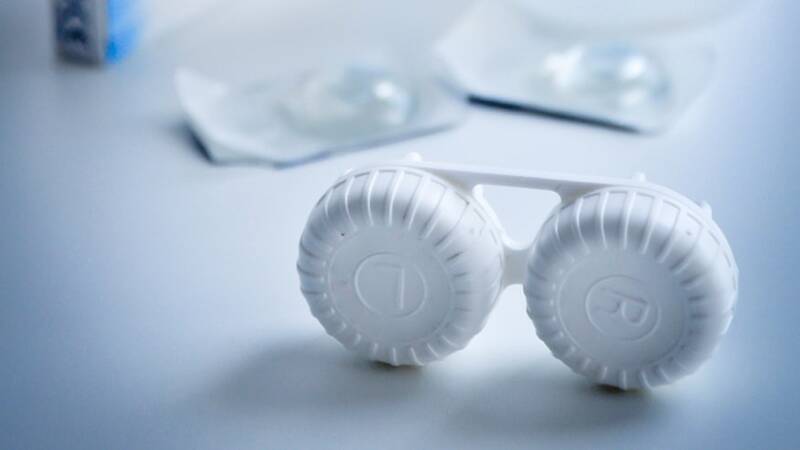 Contact lens solutions include different products which perform a range of functions including cleaning, disinfecting, lubrication and rinsing. Ophthalmic solutions include safety eyewash and prescription preparations as well as “over the counter” medicinal products. These solutions tend to have a similar base formulation: a saline solution (typically 5%) with a range of added ingredients according to the desired function. These include thickening agents, surfactants and active ingredients. 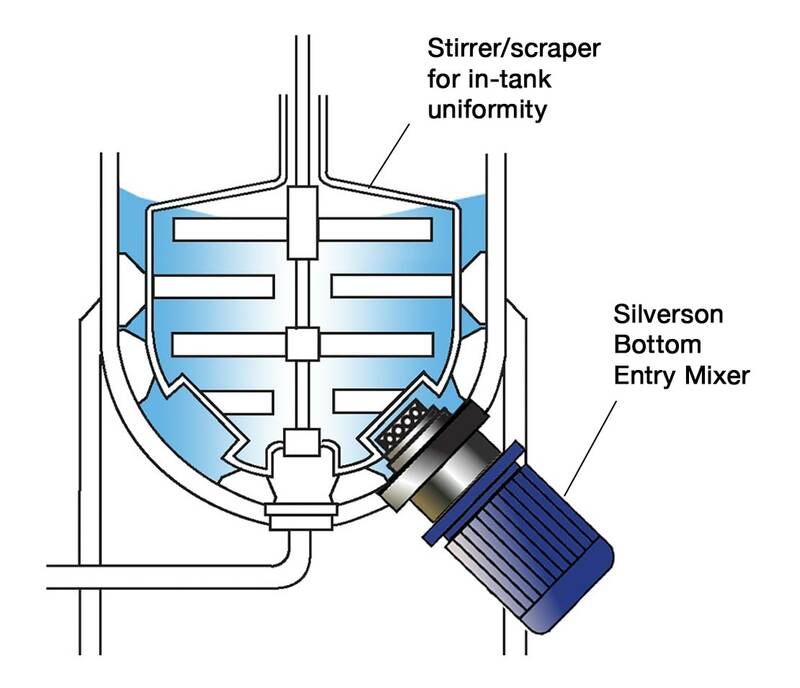 The mixer must provide vigorous in-tank movement to incorporate light powders which tend to float and to prevent salt granules from sinking to the bottom of the vessel. Some ingredients, (e.g. thickening agents and active ingredients) only make up a very small proportion of the formulation, but must be correctly dispersed and/or hydrated to obtain functionality. Many thickening agents are affected by salts, making it difficult to obtain functionality. This may be overcome by hydrating these ingredients before the salts are added, or by preparing them separately as a premix. The finished product is sterilized, typically by ultrafiltration. 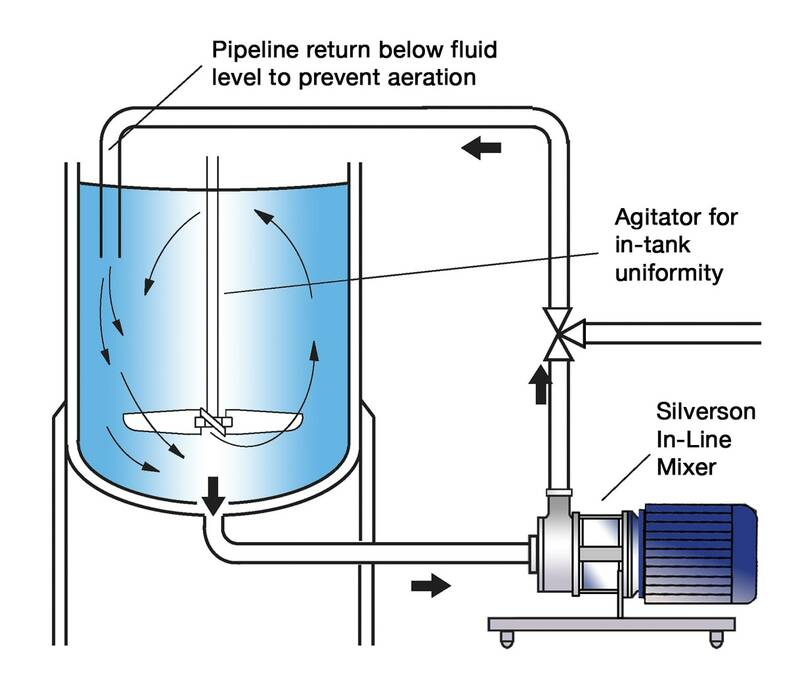 The solids must be fully solubilized and/or hydrated to ensure they are not removed during this process. The process must be carried out in the most sanitary manner possible. Problems can arise with conventional systems as they tend to allow a build-up of partially hydrated powder on vessel walls and mixer shafts etc. raising potential cleanliness issues. 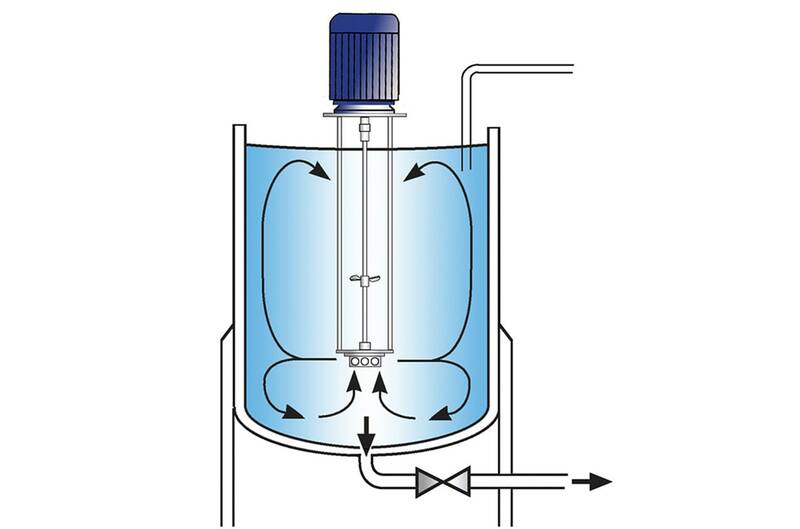 Long mixing times are required to fully hydrate and dissolve the solids. This can cause an undesired temperature rise, increasing the risk of bacterial contamination. The vessel is charged with water. The mixer is started and the powders are added. 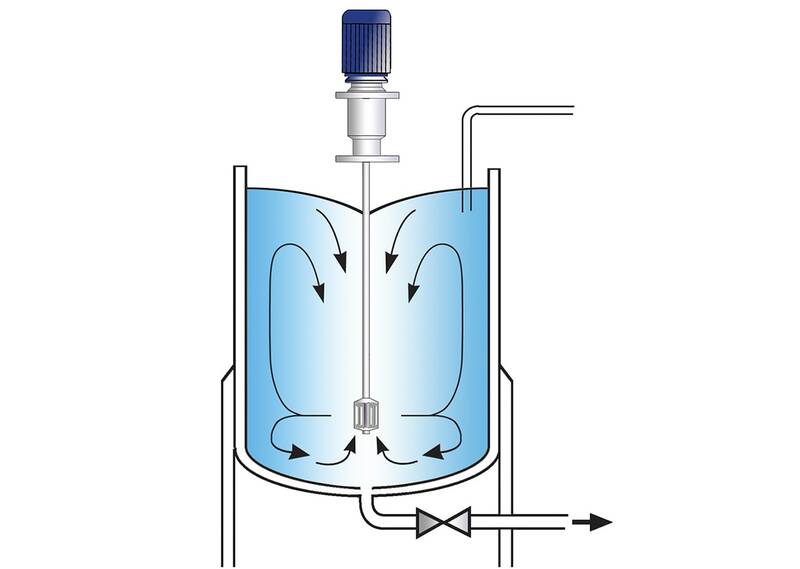 The high speed rotation of the rotor creates a powerful suction which draws the liquid and solids upwards from the base of the vessel into the workhead. 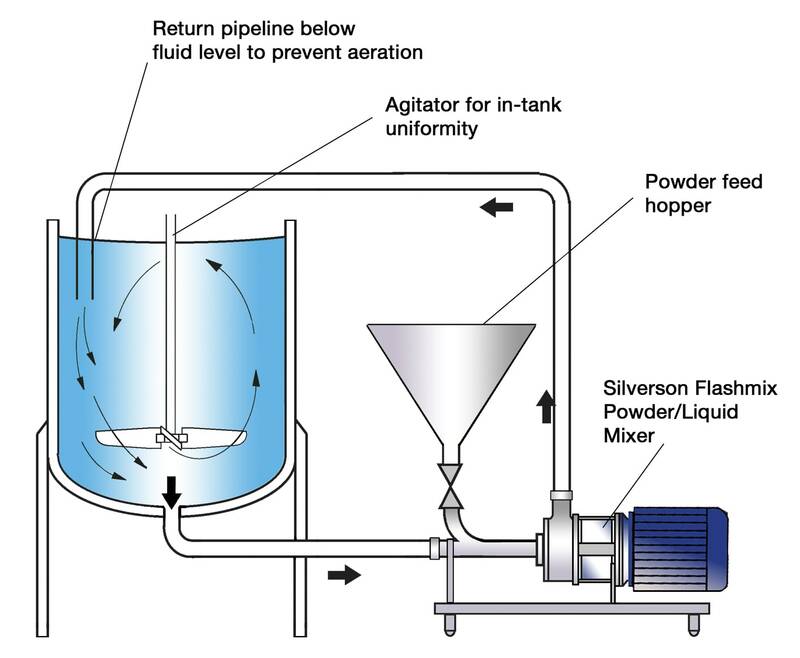 Centrifugal force then drives the materials to the periphery of the workhead where they are subjected to a milling action in the gap between the rotor and stator, rapidly reducing granule size. The product is then forced out through the stator at great velocity as fresh materials is drawn in. Each pass through the workhead progressively reduces granule size and exposes an increasing surface area to the water, accelerating the solubilization of the salts, and ensuring that viscosity modifiers and active ingredients are fully dispersed and/or hydrated. Processing time is rapidly reduced. Greatly improved product consistency and stability.